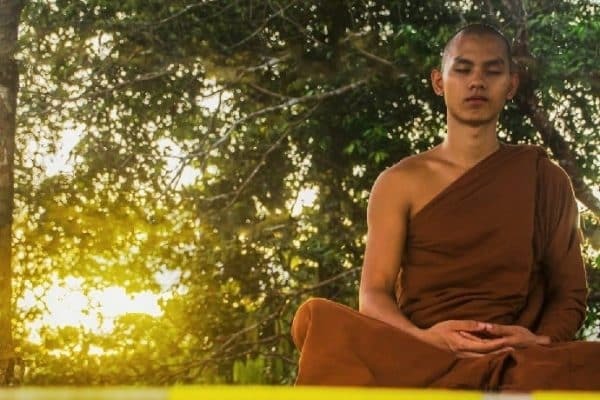 When it’s all said and done there are only three mind-states used when focusing in meditation. THE DAILY MEDITATION’s readers are still digging my guide to 31 ways to meditate. And you probably want to know more regarding focused attention VS effortless presence VS open monitoring. For starters though, there is a fourth type of focus. It’s called multi-tasking. I personally used to multitask all the time. I would be at work and while I was on the phone I would be reading a book and eating at the same time. That’s the very definition of mindlessness. And there are lots of negative effects of multitasking on the brain, which we’ll look at in a sec. But first, let’s look at what divided attention / multitasking is and why it doesn’t work. Then we’ll look at the forms of focus used in meditation and why they massively improve your focus. What is Divided Attention / Multitasking? It’s a popular myth that divided attention / multitasking improves productivity. But it’s been proven wrong. Here is what actually improves productivity. Multitasking / divided attention is when we are focusing on several things at the same time. It’s a common misconception that multitasking activities makes us more productive. Horse-hooey. Multitasking is actually impossible . It’s been proven that we cannot multitask. The brain cannot focus on more than one thing at a time . When we think we are multitasking we are in fact just jumping very quickly from one thing to the next and back again. If we aren’t actually doing two things at a time we aren’t getting things done quicker. And if we are just jumping from one thing to the next we are causing our minds to be erratic. That’s why multitasking is bad for you. It actually causes mental health problems. There are seriously risks of multitasking. This image shows the effects of multitasking. Take a look at his book The Organized Mind: Thinking Straight in the Age of Information Overload [AMAZON]. It is a real eye-opener on how multitasking and other mental habits effect our minds. Meditation is the opposite of multi-tasking because when we meditate we consciously focus. These three are ideal and healthy states of mind that are used in meditation, but they can also be used in everyday life. Focused attention is the complete opposite of multitasking. It is very intentionally focusing on only one thing at a time. As you can see from these examples, focused attention activities are about concentrating on one thing at a time. So, what are the benefits of focused attention exercises? When you use these focused activities, you are training your mind to focus on one thing at a time. So, the immediate and obvious benefits of this is that it improves your concentration. However, because you are forcing your mind to focus on one thing, you are also letting go of everything else. Focusing 100% of your mind on your breath means not focusing on anything else. In other words, you let go of your thoughts, feelings, mental imagery and so on. And this creates very many secondary benefits. We’ve already looked at the benefits of meditation (that link will take you to a very extensive article about how meditation helps you). So, let’s look at some specific benefits of focused attention techniques. Make us more productive at work. Helps us overcome negative thoughts. Makes us more aware of our own abilities. As you can see, the majority of the ways in which focused attention helps is that it removes unnecessary information from your mind and improves focus. And because these are fundamental mental competencies, they help with very many other tasks and processes. So how about focused attention VS open awareness. What’s the difference? Open monitoring meditations, which are also called “open awareness”, are the opposite of focused attention. The concept of open awareness activities is that they are about opening your mind to the entirety of the environment. In open monitoring exercises, you let the entire world in, without focusing on any one specific thing and without being judgmental about anything. You simply let the whole environment into your mind with complete acceptance. silence your mind and let the whole world in. That is an open awareness meditation. It is letting the whole world in. The main benefit of open awareness is that it makes you more creative. Unlike in focused attention, in open awareness activities you are letting the whole world in. That puts a lot of information in your mind. And because you are very relaxed, that information is able to flow more freely. Because of the nature of the brain, when new chunks of information come into contat, associations are made. You see a round object next to a box and you suddenly realise that those two things together make a car. When you practice open monitoring technique you increase your creativity. This is the primary benefit of open awareness. There are many secondary benefits too. For instance, your body relaxes, tension releases, and this creates many physical and mental health benefits. Plus, in my personal experience, open awareness simply feels incredibly liberating. Effortless presence actually comes from Yoga. If you have ever done yoga your teacher probably told you, at the end of the session, to lie down in corpse pose (Savasana), let go, and exist without effort. That is effortless presence meditation. Effortless presence meditation is about pure acceptance and relaxation. This technique lets you relax completely. It is very similar to open awareness, and the benefits are the same. Though you could argue that because effortless presence requires zero effort it is even more relaxing and even more liberating. Open awareness, focused attention, and effortless presence, offer three psychological definitions for all the different meditation types. Which of these types have you tried? And what are your experiences with them? Thank you for your sharing. but I still wondered what kind of meditation does transcendental meditation belong to? 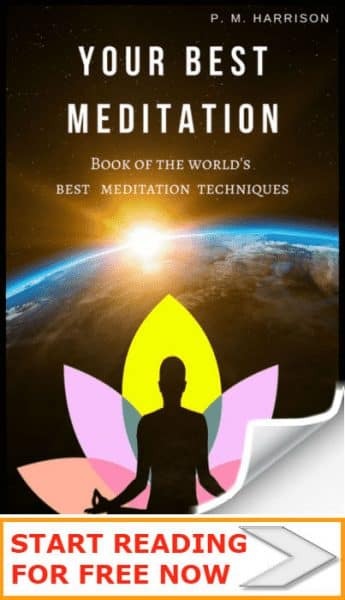 You actually did not explain Effortless meditation technique, you just mentioned it is similar to Open awareness meditation. Very dissapointed. You mean in the article or in the book? You haven’t purchased the book, so…. ?